All women attendees are welcome to join us- regardless of relevancy in Mergers & Acquisitions. A very special thank you to ACG Denver's NEW Executive Director- Veronica Munoz- for embracing a collaborative spirit and supporting our amazing community of women! Event Presentation~ Karen Brown's "Unlimiting Your Beliefs"
On April 8th, Karen Brown, subject-matter expert in the field of the unconscious mind and professional performance, will share the #1 scientifically proven key that holds all of us back from what we want to achieve. And, she will teach us how to transform it and accomplish anything we set our sights on. This is not airy fairy, everything is scientifically proven. 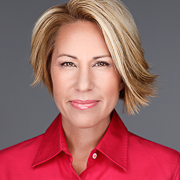 Karen Brown is CEO of Velocity Leadership Consulting, and has been quoted as a subject expert in USA Weekly, Max Sports & Fitness, Fierce CEO, featured guest on 41 podcasts and keynote presenter in globally recognized, A-Speaker's Bureau. 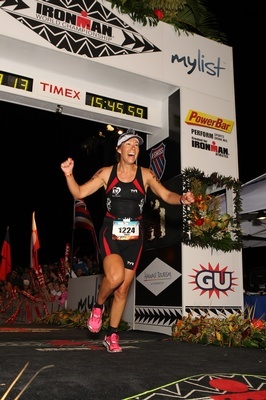 Karen realized her own performance potential and discovered the neuro-scientific keys to achieving greater success by achieving a life-long dream of competing in the Ironman World Championships (as a recreational athlete at age 44). She parlayed this model with 20 years of experience (and study) in senior leadership and business coaching and professional/mastery level coaching certifications, to help leaders elevate their performance and impact with greater velocity and ease. 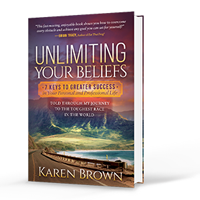 Karen’s second book, Unlimiting Your Beliefs, 7 Keys to Greater Success in Your Personal & Professional Life was recently published, receiving wide, critical acclaim by legendary Brian Tracy and named Amazon #1 Hot New Release. We highly recommend taking Lyft, Uber, or public transportation as downtown parking will be limited. The E, F, and D lines on the Light Rail all pass through the Convention Center with is a couple blocks from the hotel. If you do drive, valet parking is available at the hotel for $24, or you can park at the nearby Tremont Garage 1.5 blocks down the street from the hotel for $10-$12. If you decide to sign up for a WoMAN membership, you will recieve a $50 discount off your membership!